At Profiles Beverly Hills, Drs. 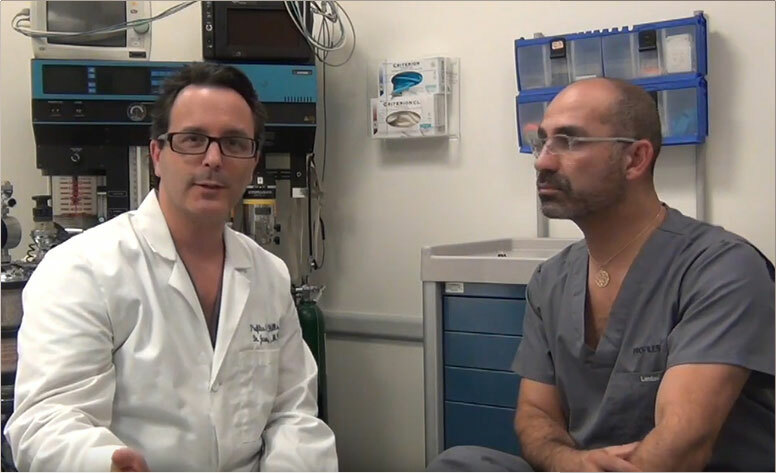 Solieman and Litner have extensive knowledge in Otoplasty (‘ear shaping/ear pinning’). In fact, we have recently completed the definitive textbook on the subject, “Aesthetic Otoplasty“. Otoplasty is a surgical procedure which can reduce the size of large ears or set prominent ears back closer to the head. Otoplasty is often performed on children to spare them the teasing and ridicule associated with large or protruding ears. However, we are seeing more and more adults in our Los Angeles practice who are interested in cosmetic ear surgery. In children, the surgery can be performed once the ears have reached their full size, which tends to occur around five or six years of age. Because of the self-consciousness that can come with even mildly distorted ears, it’s generally believed that the earlier that Otoplasty ear surgery is performed on a child, the better. Adults often decide to undergo Otoplasty along with another facial plastic surgery procedure. Are You or Your Child an Otoplasty Candidate? Drs. Litner and Solieman, both double board certified Facial Plastic surgeons, specialize in creating natural-looking ears. During your Otoplasty consultation, we can help you to decide whether surgery is the best option for you or your child. Our doctors, will give you a very good sense of what the Otoplasty surgery will accomplish. If you are considering Otoplasty for your child, it is critical that you be attentive to his/her feelings about his/her ears and not insist on the surgery until your child is ready for it. Children who dislike their ears and want the ear reshaping surgery are typically happier with the results and more cooperative during the process than those who are motivated solely by their parents’ wishes. There are two main reasons why it is beneficial to perform Otoplasty surgery at a young age: children can benefit psychologically from the cosmetic improvement, and the cartilage is very pliable and allows for easier shaping. Child Otoplasty is conducted under general anaesthetic. If you are considering Otoplasty for yourself, it is important to understand that fully developed ears have firmer cartilage which makes surgery slightly more involved. However, adult Otoplasty can be performed under local anesthesia and produce remarkable results with very little downtime. It is also important to note that Otoplasty does not impact hearing at all. 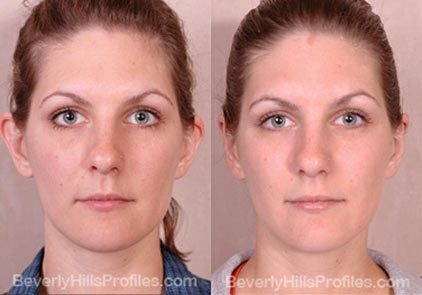 Your Otoplasty surgery will be performed in our state of the art, fully accredited, Profiles Beverly Hills surgical facility – the Profiles Surgery Center – convenient to Beverly Hills and Los Angeles residents. Profiles Beverly Hills uses only board certified Anesthesiologists for all our surgeries. Drs. Solieman and Litner usually recommend that young patients receive general anesthesia while older children and adults may receive a combination of local anesthesia and mild sedation. The Anesthesiologist will meet with you prior to the procedure to address any questions or concerns you or your child may have. Ear surgery takes typically 40 to 45 minutes per ear. The particular ear problem will determine the exact technique used. One of the more common techniques involves a small incision which is made in the back of the ear. Once the ear cartilage is exposed, it is then sculpted and bent back toward the head. The new ear shape may be maintained with the help of non-removable stitches. It is rarely necessary to remove a piece of cartilage to allow the ear to sit closer to the head. A technique commonly performed by Drs. 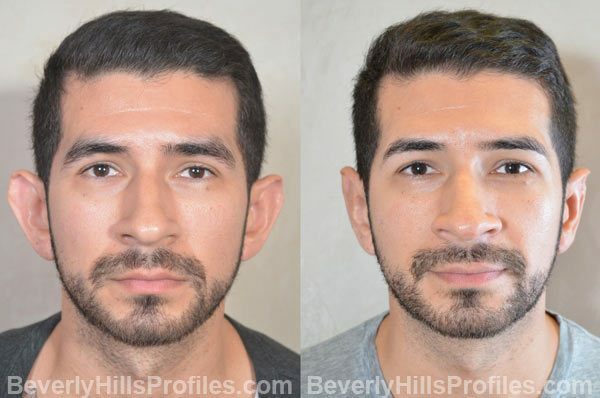 Litner and Solieman at Profiles Beverly Hills requires that a similar incision be made behind the ear, after which skin is removed and the cartilage is folded back on itself with stitches, thus reshaping the ear without removing cartilage. Surgery is often performed on both ears even when only one ear protrudes so that the best balance can be achieved. Within just a few hours of Otoplasty surgery, most patients are up and about. To promote the best molding and healing, a bandage is wrapped around the head immediately after surgery. This is replaced by a lighter, headband-like dressing the day after surgery. Patients may experience some throbbing or aching of the ears during the first few days, and medication is prescribed to relieve this. Bruising and swelling are typically minimal. Absorbable sutures are utilized on skin incisions in order to minimize any postoperative discomfort. Adult patients are usually able to return to work within two to three days after surgery or sooner, while children can usually return to school in about five days. Care will need to be taken on the playground and it can be a good idea to ask your child’s teacher to keep an eye on him/her for the first few weeks. If you are in the Los Angeles area and are considering Otoplasty for yourself or your child, we invite you to email or call us (310) 276-6800 for an appointment to see if this rewarding procedure is right for you. Earlobe Reduction: Our doctors have consulted with many patients who are self-conscious about the size of their earlobes. Whether you suffer from long earlobes or overly wide, fleshy earlobes, earlobe reduction surgery can be performed to better balance the proportion between your ears and face. Torn Earlobe Repair: In Los Angeles, this is a popular procedure among people who wear earrings for many years. A long crease can develop and in some cases the earlobe is completely torn when an earring is inadvertently yanked out. Torn earlobes can be repaired and returned to their normal state through a quick and simple surgical procedure. Earlobe Reconstruction: Earlobes may become disfigured by wearing large piercing for many years or through trauma. Our doctors assess each patient’s earlobe condition and suggest a customized treatment plan to restore the shape of your earlobe.